Hey hey! 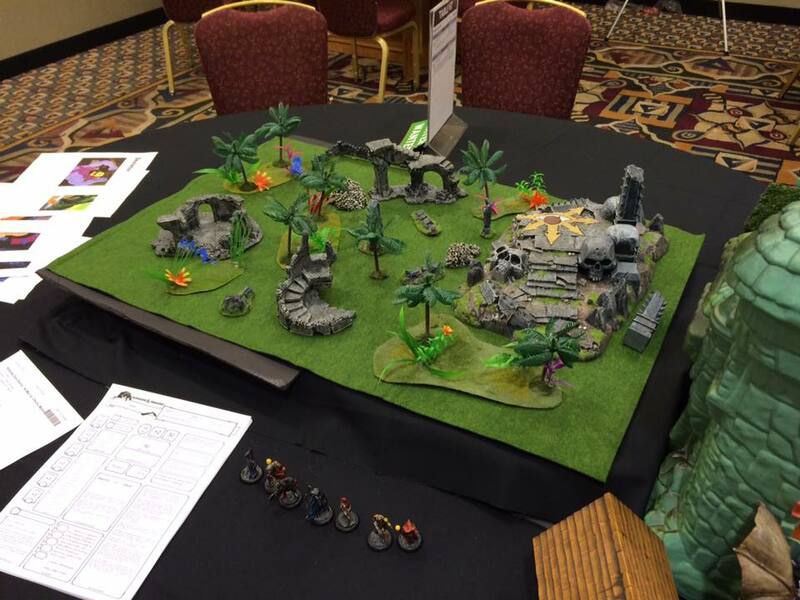 Time for some convention gaming pics! This post is a little late since Nexus Game Fair 2016 happened almost three weeks ago, but I have a very good reason for the delay, and that's because of [INSERT EXCUSES HERE]. Now that that's out of the way, I want to talk a little about the games I ran at Nexus. I once again ran Shadows Over Eternia: He-Man vs. the Cthulhu Mythos at Nexus, and it was again a ton of fun. I always worry about getting a problem player at my table for convention games, but thus far every time I run Shadows the players have been great and its gone smooth as silk. I don't know if that's because the subject matter (He-Man/Cthulhu cartoon-horror mashup) attracts the more fun-loving and considerate players at a Con, or because the presence of so many miniatures and terrain makes people less apt to act like jerks at the table, or just because my self-involved narcissistic DMing style means I don't actually remember anyone being a problem as I was just so wrapped up in patting myself on the back due to how well I feel I pulled off the Mordak and Mer-Man impressions. In any case, I'm going to go ahead and confirm it as being a really fun time.